The first primary light with wireless charging! 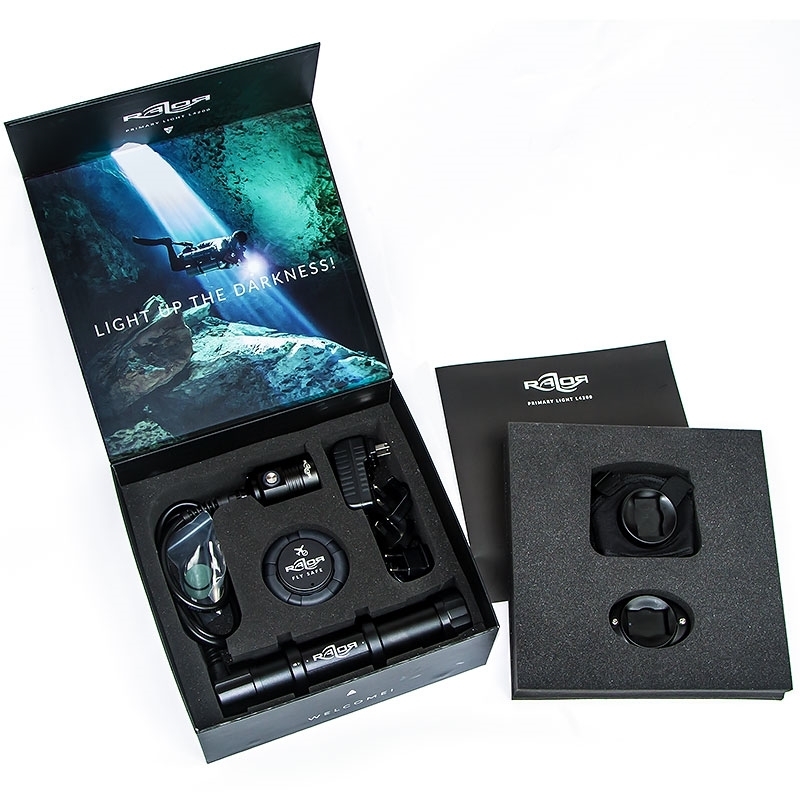 The new Razor Side Mount Light L4200 Wireless is the result of one year hard testing and redefining the way we use our primary light in cave diving. Like on the Razor Side Mount System we worked hard on details to make this primary light the most powerful, practical and innovative light on the market. So check out the features and download the manual for detailed info about the new innovations. 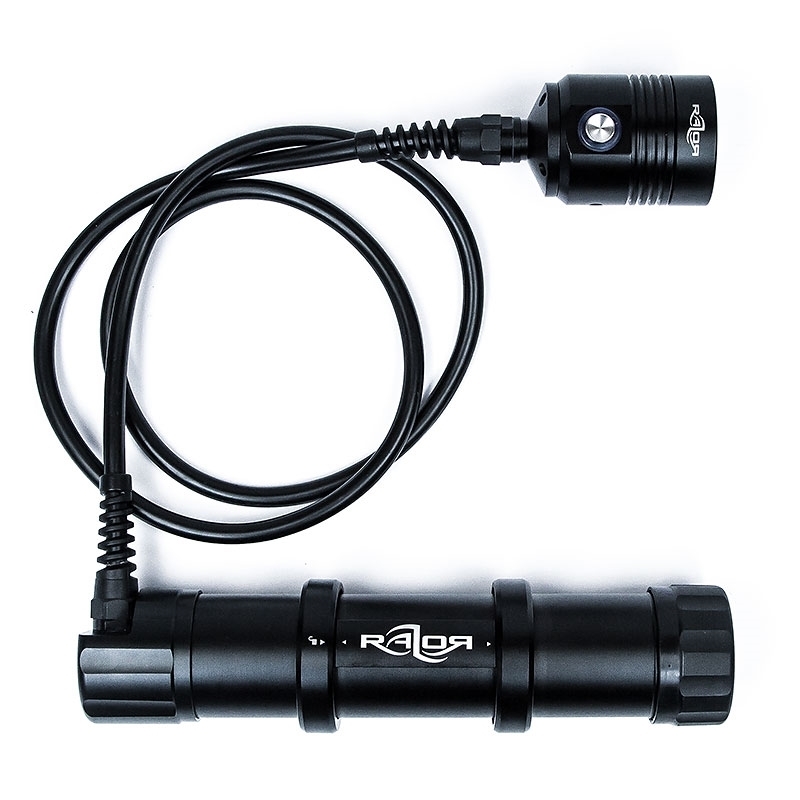 For the new Razor light we wanted to have the most efficient mix between LED, Reflector and efficiency. Therefore we built a specific metal reflector to get the best light output from the LED. In addition the Light Head comes with the Razor Light Holder which you can screw on directly to the head in 3 different positions. 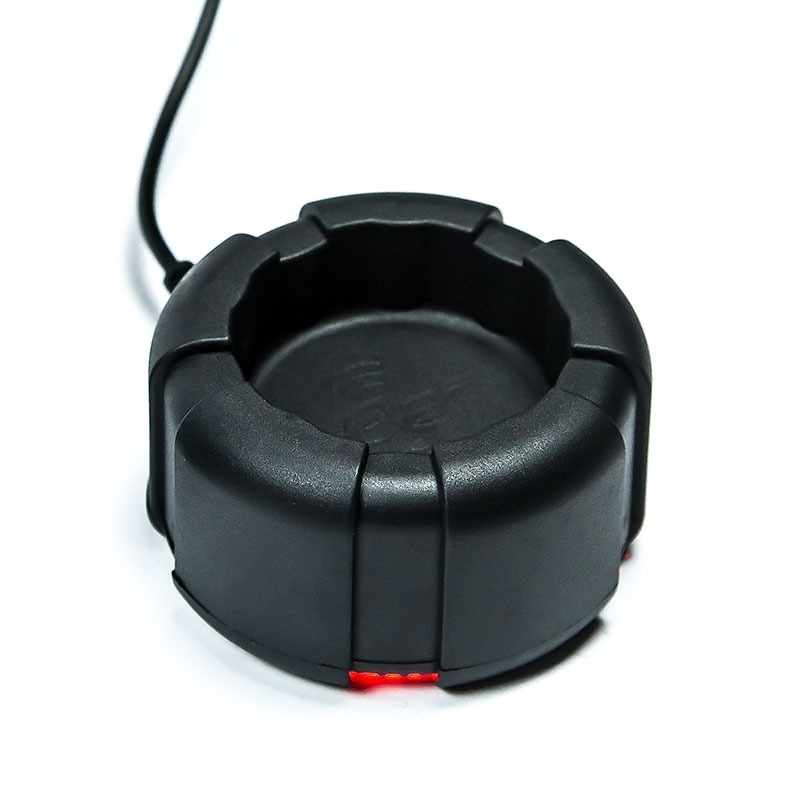 That gives you full flexibility over the position of the ON/OFF button either on the helmet or on your hand. Flash model Standard mode: High light - Low light - Off. Stepless mode: dim on any light power with memory function. 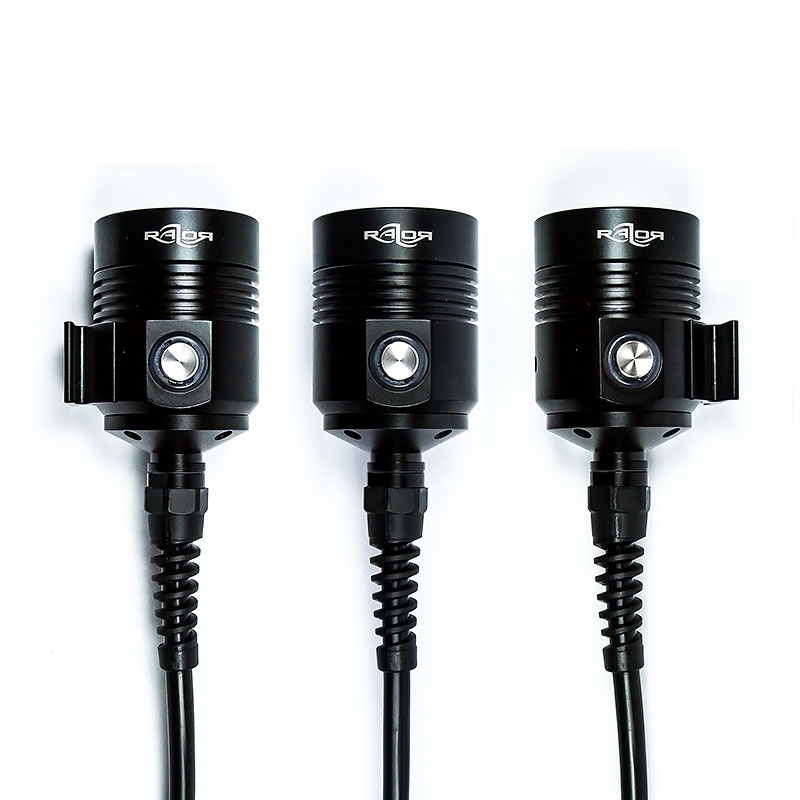 You can easily attach the light head to it and lock it in place with a 90° turn. - Using the Light without diving with a helmet. - Whenever you are diving with the light out of the helmet. 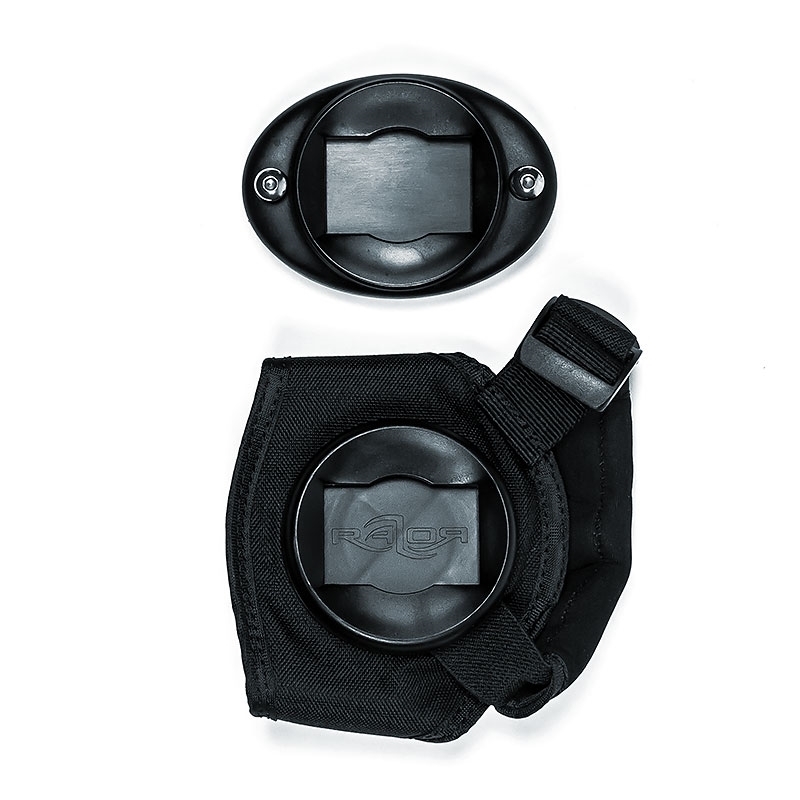 The new patent pending Razor canister closing system is tool free and with a simple turn on one of the rings you can detach your light from the harness for charging. The Razor Side Mount Light L4200 is the first primary light with wireless charging. Just plug the end of the cannister to the Razor Wireless Charger and it gets charged. From an empty battery to full power it takes around 8 hours. 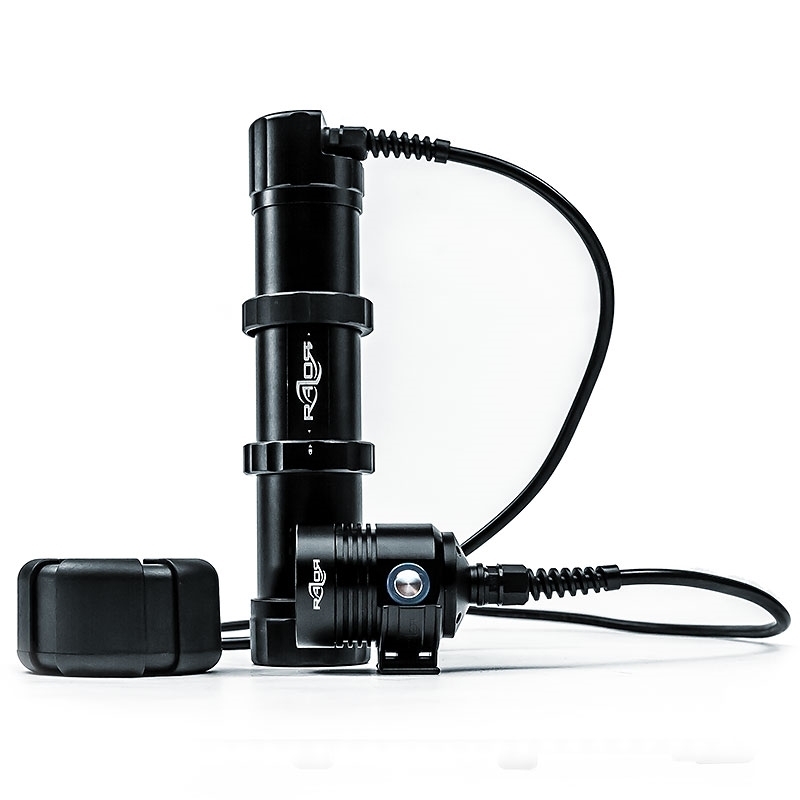 You can charge your light even straight on the harness by plugging the charger at the end of the canister. 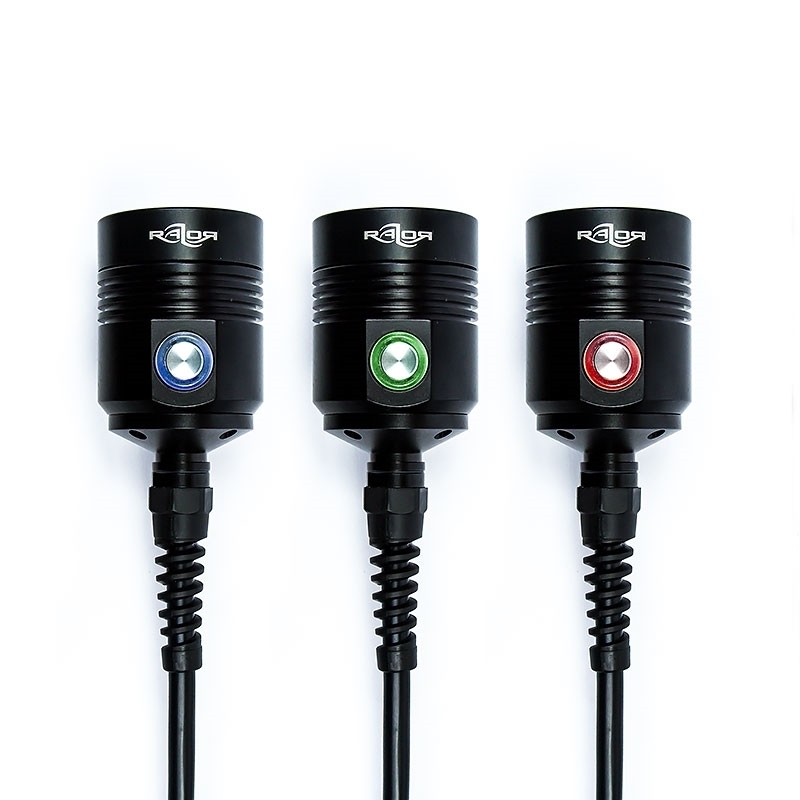 Charging a Primay Light was never easier! The Razor Side Mount Light L4200 comes with a fly safe cover that you can plug on the canister to prevent from shortcuts while flying. 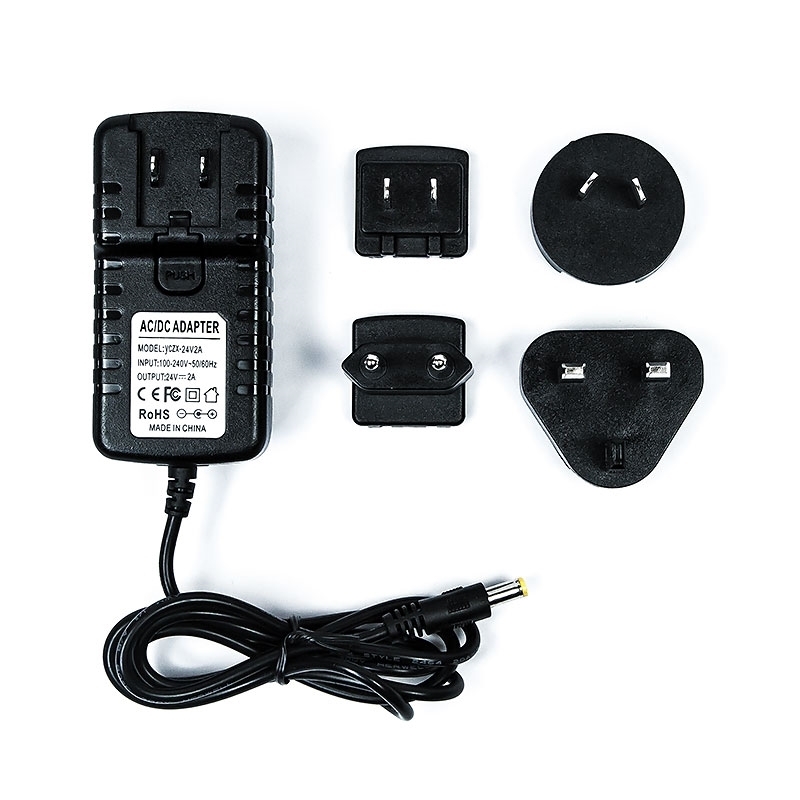 In addition the Razor charger comes with all international plugs. 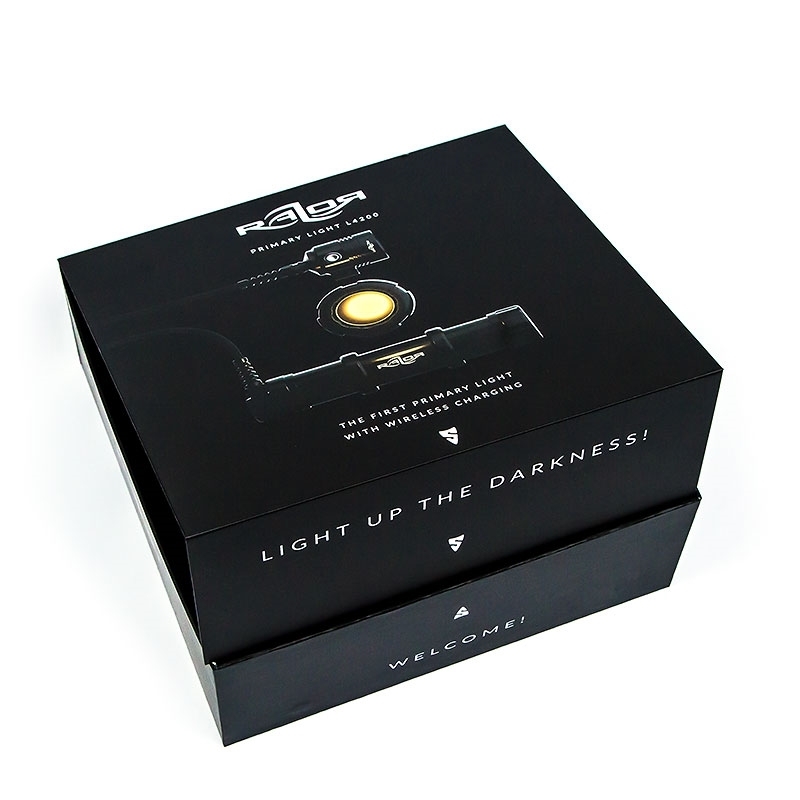 The Razor Side Mount light L4200 comes packed in a nice package. 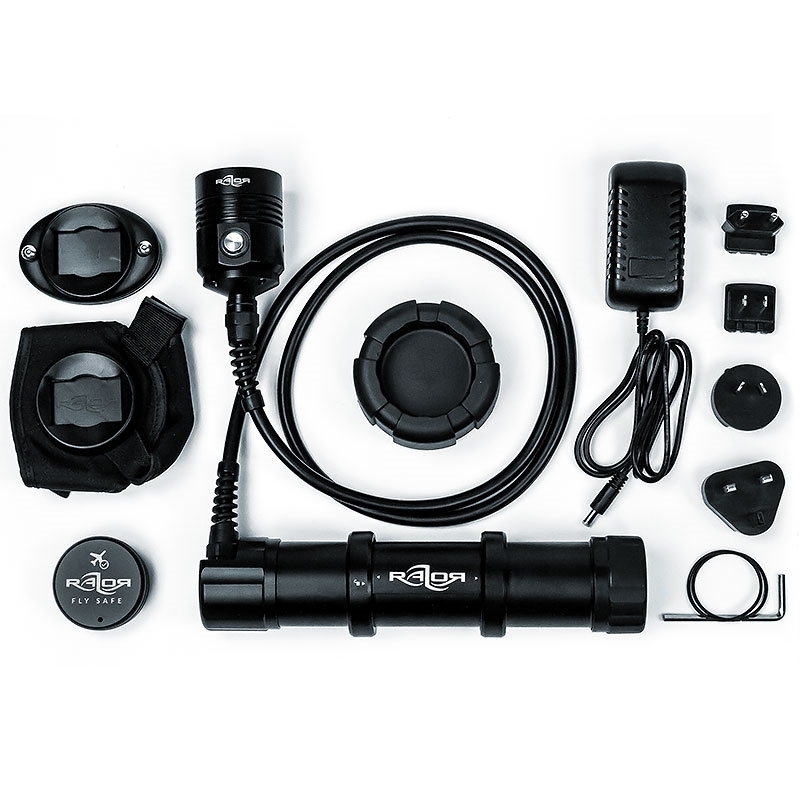 Included is the Razor Hand Mount, the Razor Helmet Mount and the specific Razor Light Holder to the L4200. 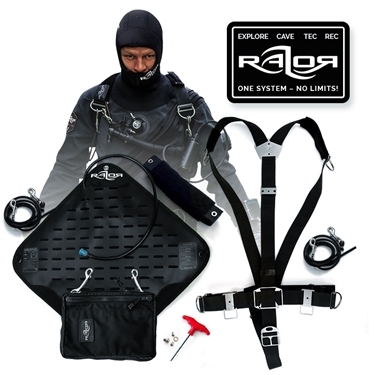 So you safe money on the super popular Razor Mounting System.